​we provide innovative solutions for all of your outdoor needs. 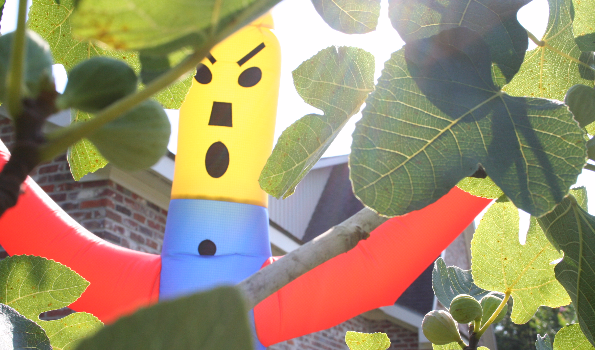 The Scare Dancer® Inflatable Scarecrow is the most effective solution ever created to keep birds and other animal pests out of your garden, boathouse, or food plot. The Sonicrow™ Sonic Scarecrow produces 130 decibels of frightening sounds to help you keep birds and other animals away where loud noises are permissible. 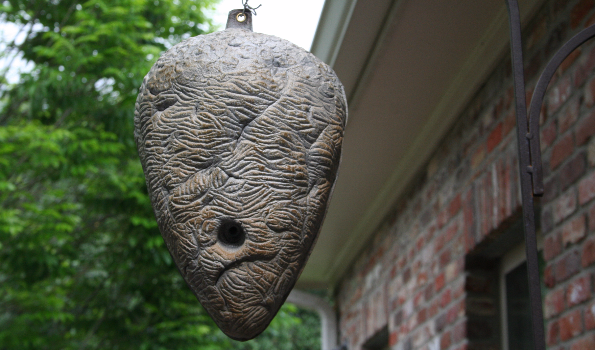 The Wasp Out™ Hornet's Nest is a proven way to keep wasps and bees away from your patio, deck, garage, deer blind, boathouse, hummingbird feeder, garden, orchard, and more. 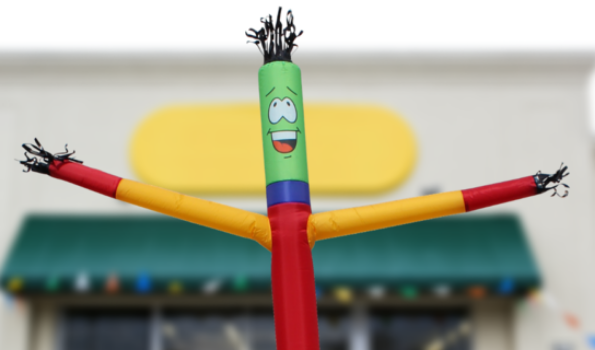 Attract new customers to your business today with the all new 10' Inflatable Tube Man provided by Airobics® advertising solutions. Welcome to Tackle Box Vending™! 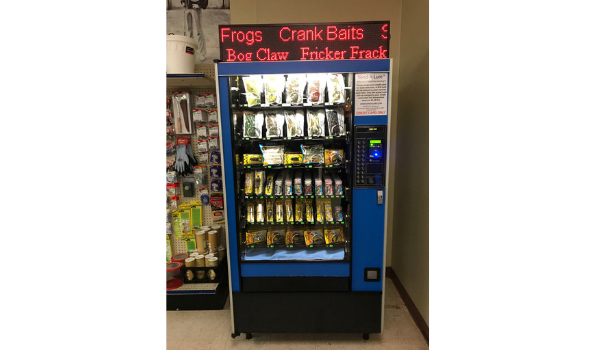 Vend-A-Lure™ is the first of it's kind vending machine for fishing baits. Enhance your store with the most popular seasonal lures. Visit our site us below for more information. HandyCap® hats are made to be the most comfortable hat you've ever worn. It feels incredibly comfortable to wear all day long, it's washable, durable, and best of all, it can easily be folded up and put in your back pocket without losing its shape when you put it back on. It truly is a “handy cap".